For many years, advances in crop technology have focused on specific production traits like herbicide tolerance or insecticide production. Photosynthesis — the driving force behind all plant life — was long viewed as too vast and complex to be effectively altered by genetic engineering. That may be changing, as agricultural biotechnology companies begin work on crop traits that tweak a plant’s innate ability to convert sunlight, carbon dioxide and water into grain. Instead of the usual steady creep of yield increases, a quarter or half-bushel at a time over many years, these companies are aiming for giant yield leaps closer to 10%. Beck’s Hybrids has just announced a partnership with an ag biotech company, Benson Hill Biosystems, to co-develop a trait that improves the efficiency of photosynthesis in a corn plant, producing significant yield increases. Beck’s says it plans to license the trait broadly to seed companies once it is commercialized, most likely in the mid-2020s. What’s so wrong with plant photosynthesis as Mother Nature designed it? After all, it’s successfully driven all plant life on Earth for hundreds of millions of years. That’s where ag biotech companies are stepping in. Beck’s Hybrids, a family-owned and operated seed company that serves farmers in the Midwest and Midsouth, announced its agreement to co-develop the corn yield trait with Benson Hill Biosystems today. Both Benson Hill and Yield10’s traits use traditional genetic engineering, so they will be subject to USDA and global regulatory reviews. The goal is to submit regulatory documents to USDA by 2021, with commercialization likely following in the mid-2020s, said Curtis Wiltse, Beck’s Hybrids’ research manager. 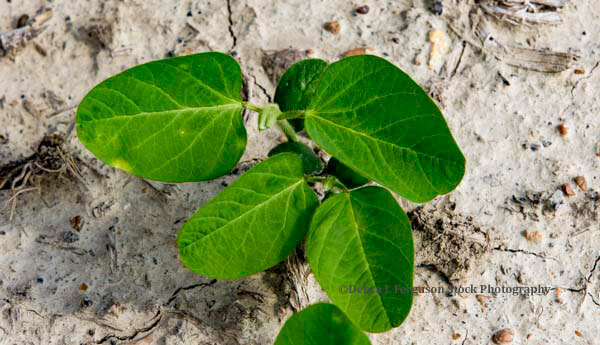 In December 2017, Yield10 proffered its C3003 trait license to Monsanto, for help with developing it in soybeans. “We want them to work on the technology and develop it within their elite soybean germplasm,” Peoples said. “There seems to be a momentum in the industry to find more collaborative way to do this, so small companies can win as well,” Peoples agreed.